But I haven't found any sources that confidently state when Justice League is set. I've seen one website claim November 2016, and another claim sometime in mid-2017, but neither of them offered any kind of exact date. I did watch the film recently but I can't remember seeing any on-screen dates. It's 'cause they know he's dead, right? Superman. Intergalactic info does not travel in the span of two days, does it? 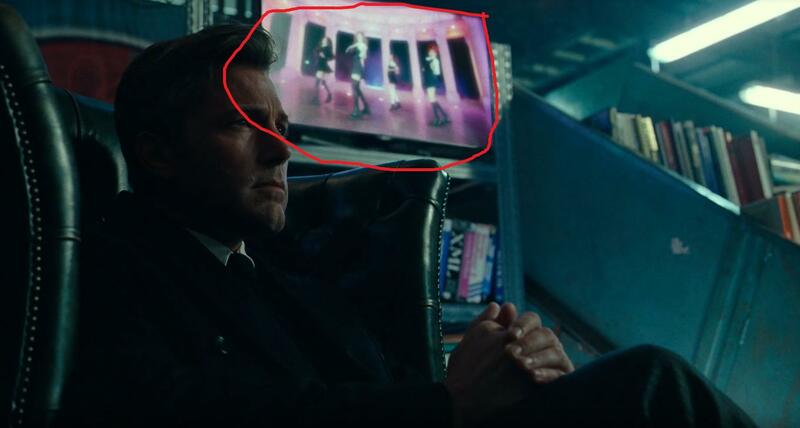 Anyways, in the same scene there is this a on Batcave computer screens; the left part of this shot seems to read "2017". Unconfirmed, but likely - oh, and the hexa-written transfer logs might translate into something, too, as well as the "time+2052" stamp on the right. Buckle up now, because that's when it gets real. 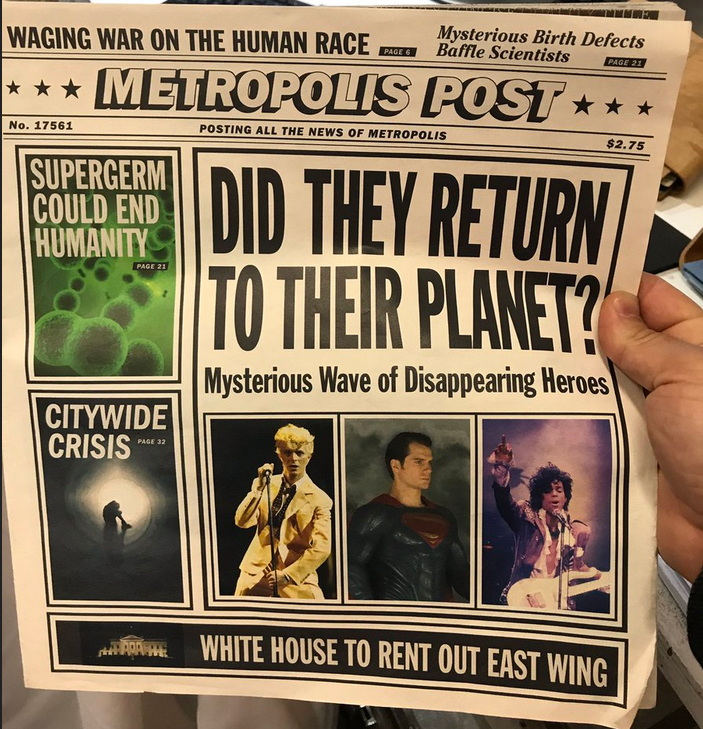 The opening credits show that some time has passed... And, that the Metropolis post released some kind of homage-feature for David Bowie, Superman, and Prince. When Barry Allen goes back to his headquarters, only to find a complete stranger sitting in his second favorite chair, there's a music clip playing. At the ending of the movie, Barry Allen gets "the worst job you can get in a crime lab", after having been supported by a "friend", and shows the letter to his father. 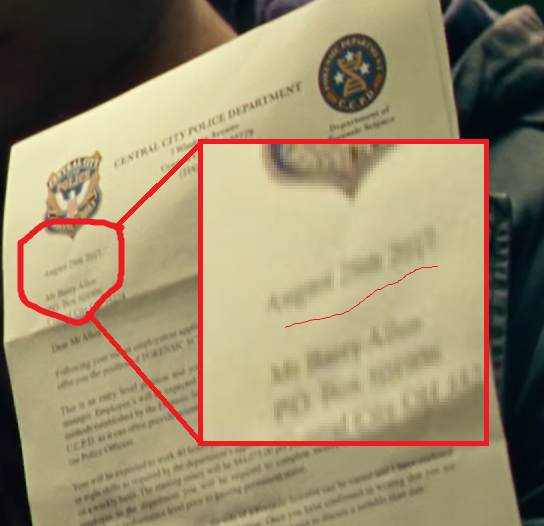 It's blurry, but that letter is dated from August 20something, 2017. Later in the same scene, thieves are arrested before the British Museum, which has posters for the current or upcoming exhibition. The exhibition apparently ends on January 13 (15? ), 2018. Although I suspect this very still was made for the movie, since I did not find it online, the real museum had an exhibition on "Scythians, warriors of ancient Siberia" which ended on January 15, 2018, but more importantly, opened on September 14, 2017. Since there isn't that big of a time span between Batman/Flash meeting (step 4/) and Flash getting a job (step 5/), and that Superman is resurrected rather early after the Justice League forms up, it's rather safe to pinpoint Superman's resurrection in the summer 2017. 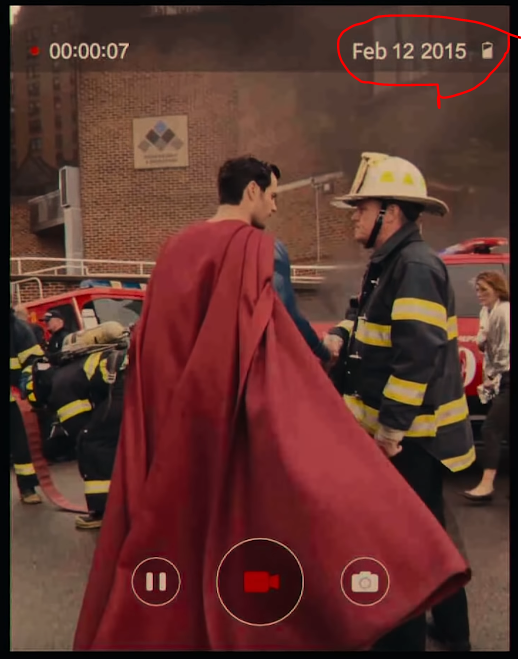 1 Okay, technically, the film opens with a flashback to Superman being interview by podcaster kids on February 12, 2015. 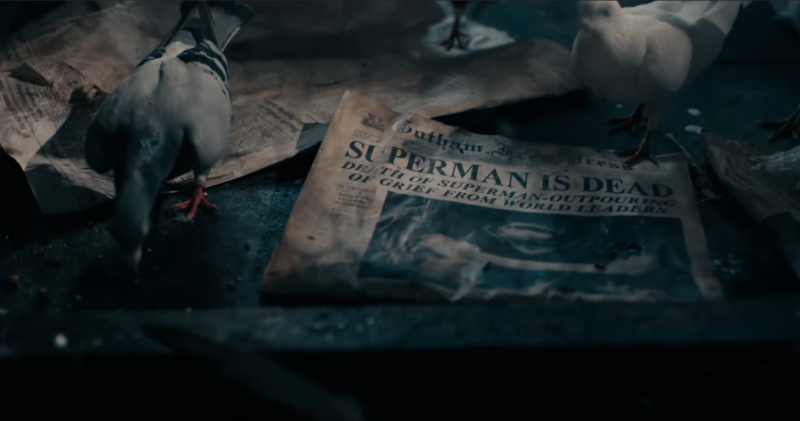 The film is stated, in a voiceover, to be about 6 months after Superman's death. Not the answer you're looking for? Browse other questions tagged dc dc-extended-universe timeline batman-v-superman-dawn-of-justice justice-league-2017 or ask your own question. If Superman died on Earth, would his body decompose? Will this character appear in the Justice League movie? Why aren't Martian Manhunter and Green Lantern in Justice League (2017) movie? Why was the axe in Justice League so special? What made it so? 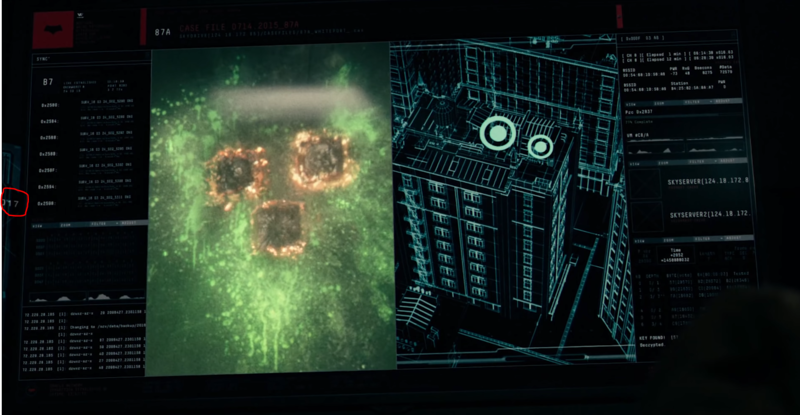 Who is this “character” who gets mentioned in Justice League?